Suffering serious injuries in a motorcycle accident in Wynwood or anywhere else is not easy. Motorcyclists are not as protected as car drivers by the chassis and the vehicle itself, so their injuries usually are more severe compared to those of car drivers. If you've been injured in a motorcycle accident, you should know that from a legal point of view, the first few steps are very important. They could be decisive about your chances to get fair compensation in accordance with Florida law. People don't want to pay for damages and neither do insurance companies. Most often, you'll be offered a settlement that wouldn't reflect the fair value of your injuries. Hence, you'll need to speak with the best motorcycle accident lawyer from Miami for assistance. Our Wynwood motorcycle accident attorneys at the Wolfson Law Firm began helping injured victims since 1963 and that includes motorcycle injury cases. Call 305-285-1115 for free and confidential consultations. We will answer all your question even if you decide to go on by yourself, but if you hire us to represent you, we won’t ask for fees until we recover for you. Wynwood is the artistic neighborhood of Miami. It abounds with galleries, street artwork, bars, restaurants, breweries, dance venues, and clothing stores. It was formerly known as the Miami industrial district, but the big murals on the building all around the neighborhood give it a unique artistic vibe. It all started with the development of Midtown Miami when the abandoned warehouses and factories were turned into galleries, restaurants and cafes. Many artists from all over the world have traveled to Wynwood to draw their art and create what is now Wynwood Walls. The neighborhood is divided into two major sub-districts: Wynwood Art District, located in northern Wynwood, and Wynwood Fashion District, located next to the West 5th Avenue. 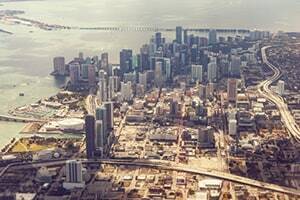 This area is one of the most popular Miami neighborhoods among tourists. Wynwood was formerly known as El Barrio, or Little San Juan, due to the dominant Puerto Rican community living there. The estimated population of Wynwood is a bit over 7,000 people. The Wynwood motorcycle accident attorneys at the Wolfson Law Firm are ready to help anyone who has suffered any kind of accident in Wynwood with motorcycle involved. It doesn’t matter if you were the motorcycle driver, a car driver, a cyclist, or a pedestrian: if you were injured in the accident, you deserve justice and compensation for your injuries. We have represented injury victims since 1963. We know how severe motorcycle accidents injuries can be and the effect they have on you and your family. It is a demanding situation, but that's where our personal injury attorneys from Miami can help. Call us at 305-285-1115 for free no-obligation consultations. We handle cases on a contingency basis, which means that you won't pay fees unless we recover for you.